If Day 1 was the night hiking, Day 2 was the hard slog. 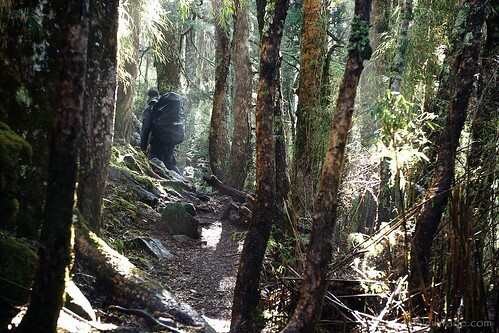 We climbed about 1,500m vertically over the course of about 8km. All while carrying nearly 30kg (~60lb) packs. I should mention now that we actually did the hike in the reverse direction that most people do it. The usual way is to go counterclockwise, to be able to descend the four cliffs that are encountered on it. We went clockwise. 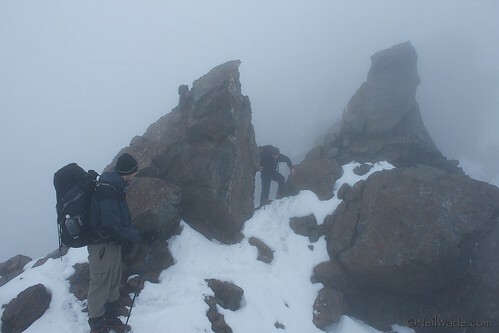 The second day actually wasn’t that difficult until we came to a very steep scree field covered in snow. The scree field was about as steep as it could be and we climbed nearly 300m on that one push alone. 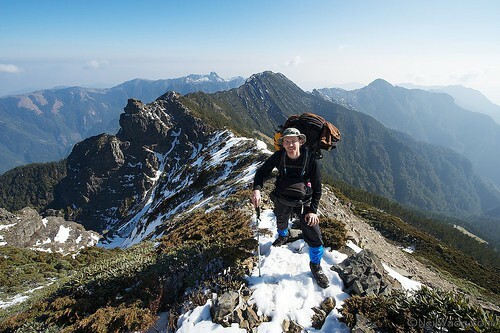 At the top, we finally arrived at the ridge line, which we thought would be an easy, flat walk to the Xuebei Cabin. It turned out to have many steep slopes, lots of snow and wind, and was covered in juniper bushes that seemed to have claw-like fingers grabbing us and pulling us back. To make matters worse, night was setting in and we had no idea how long it would take us to get to the cabin. My first walk on the ridge was probably the two hardest hours of my life. I can’t begin to tell you how tired your mind, body and soul can become after such a difficult day. 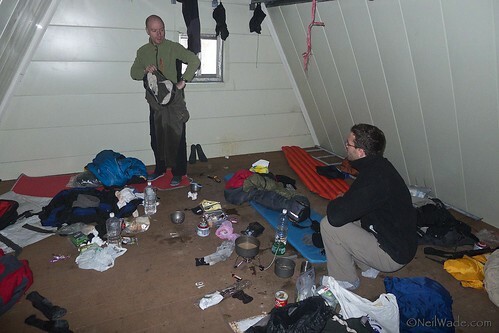 Carrying 30kgs and ascending so much, and the further stress of not knowing how much farther the cabin was, was almost too much to bare. But, we came to the cabin just at dusk and collapsed on the floor. “Fatigued” doesn’t even come close to how I felt. As I passed in and out of consciousness throughout the night, I really didn’t think I would be able to walk, much less carry my heavy pack the next day. 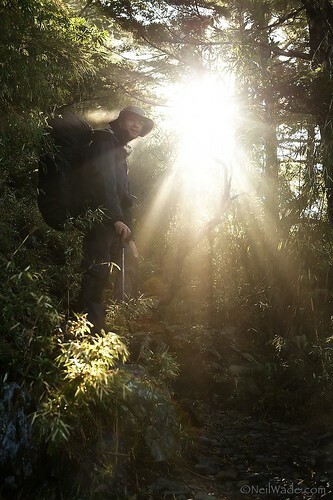 A hiker stops for a rest on Taiwan's Holy Ridge hiking trail. 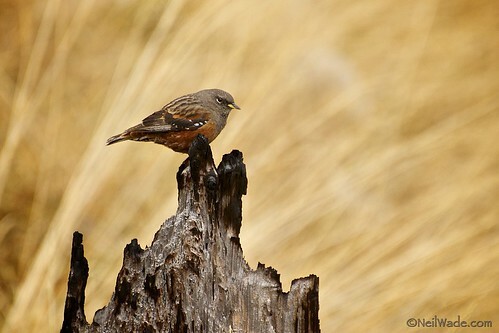 I always wanted to be a wildlife photographer! Stu and Ross pretending they know what they're looking at. 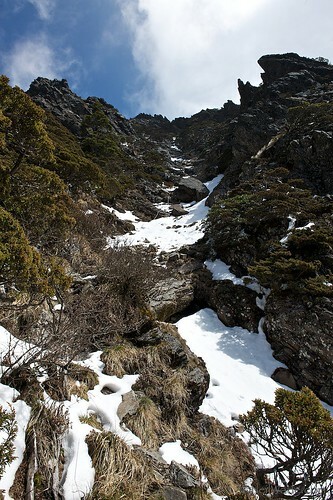 Hiking through Snow Mountain's Black Forest in Taiwan. This was the end of Day 2, about when the fatigue and bad weather really started to set in. Inside one of the mountain cabins. To my utter surprise, I (and my companions) awoke feeling… not too bad! Honestly, I wasn’t even that sore! We had awoken to a spectacular morning that had refreshed our spirits, and our conviction, to finish the hike. All that, and the fact that we knew we only had a four hour hike to the next cabin, energized and motivated us, and away we went! Day 3 on The Holy Ridge offered nice weather and lots of portrait opportunities! Little scrambles like this became common place in the Holy Ridge Trail. One mistake and a long, long fall awaited you. This photo is not an optical illusion. The trail really goes almost straight up.... and on forever. Day 3 saw our first of five cliffs. This one was more of a difficult scramble than a cliff, but it still had a long fall if anyone made a mistake. We found that we had the next cabin (Sumida) to ourselves, so after setting up shop, we had enough time to hike to the nearby Mutelebu Peak. Unfortunately, as often happens in the late afternoons in Taiwan, the weather set in and we had to be content to watch the clouds swirl and hide the fantastic views that we had been seeing earlier in the day. The end of Day 3 the weather started to move in, but left our packs at the lodge and hiked up to a very exposed peak with long drops on either side. 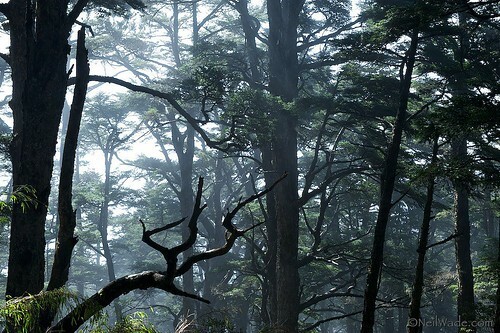 There were a lot of forests similar to this one, with small pine trees and junipers to climb over and under. 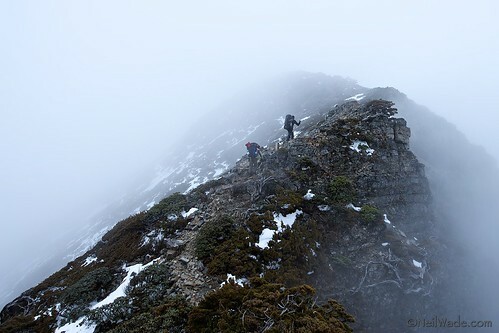 The truth is, despite the fact that we are all very experienced hikers, with the confluence of all these bad weather conditions, we were pushed to the limits of our abilities. On a clear, dry day, this, and the cliffs that followed, wouldn’t have been a problem. But at about 1ºC (35ºF) with rain setting in, we were fucked could barely manage. I actually yelled back that they should turn around and not attempt the last part of the cliff because it was too dangerous, but this would have split us up at a very dangerous part of the trail… and would have left me on my own, in a high-mountain-very-bad-place. They finished climbing the cliff, and we pushed on. We knew there were still the three Pintien Cliffs ahead: two infamous 20 meter walls and one at 10 meters. What we weren’t expecting were the ever-present 1,000 meter tumbles down the sides of the ridge that could have taken our lives anytime the knee-deep snow might have decided to give way. This was the first day of my life that I spent the entire day in fear. Fear for my own life and that of my friends. Each of us had a moment or two of such deep fear and doubt as to think that we couldn’t go on. But we all stayed strong and helped each other through the difficult moments. We knew day 4 would be the most difficult, even without the snow, ice and rain. Day 5 – Did we Really Do That? The hike down was sunny, warm and uneventful. It seems that we had bad luck and bad weather for just that one day… go figure. Day 5, and the hike down was quite peaceful. Have a looks at Stu’s account over at Hiking Taiwan. You might be wondering why I don’t have many pictures or video illustrating all those bad cliffs that we encountered on Day 4. At the time, I though I just didn’t have the motivation to get the equipment out in the bad weather. But, as I reflect on that day, the truth is that I just didn’t want to have the footage of one of my friends falling to their deaths. I guess principles are sometimes more important than telling a story. Great stuff Neil! Thanks for sharing for those of us on the east coast sitting behind a desk right now looking for something new to daydream about. Great shots too… looks like a must-do on the bucket list!!! Beautiful & breathtaking. Made my day! Nice to have mountain cabins for hikers! Thanks & regards! Wow amazing trip! You guys went for it, thanks for inspiring. I’ve been wanting to do that trail for years. That film only made me want to do it more, but in summer! Hi Richard. Yes, do it in the summer… and be sure to go counterclockwise, so you can go DOWN those cliffs! Fantastic post! I’ve done a lot of day hikes, but nothing even remotely like what you guys have done. Great job! Hey, I really wanted to do this trail. Any tips on how to get permissions and good maps, etc. Ask Stu over at Hiking Taiwan. He’s my good friend and he usually sets up all the permits and stuff. That said, you can definitely find maps in the hiking stores near Taipei Main Station on Zhongshan Rd. Thanks Neil, I will go look for them there. 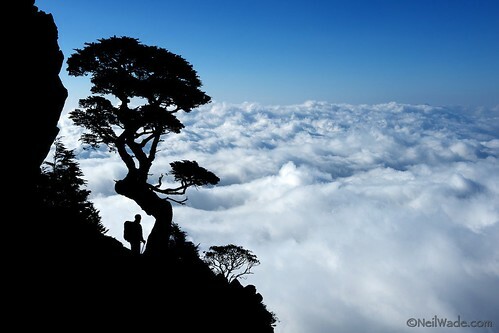 That first photography, the sea of clouds, is absolutely breathtaking! your article and video are really really amazing and inspire me!! Love it!! Love the pics! Thanks for sharing. Makes me want to visit (again). 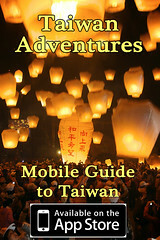 Check out my blog for opportunities in Taiwan for youth and young adults! wow, that hike is amazing, but it looks so tiring, 4 days, wow! I wish i would visit this beautyfful mountains very soon … you are a lucky person to see such beauty live. well worth the slog getting up there, stunning shots. Although I haven’t done this hike, your Day 4 recap outlines a familiar dread. I’ve felt that way briefly on day hikes around Taiwan, and in other countries. Thanks for sharing this awesome content. My friend is thinking about this hike for next year. I’m going to send him the link. Thanks Mike. 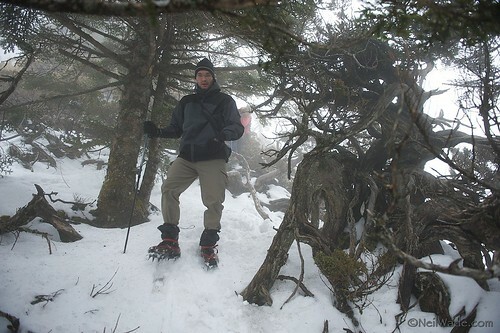 Bad luck with the weather can happen to anyone, anytime in the high mountains. The trick is to be prepared for anything. If you or your friend has any questions about the hike, feel free to ask. 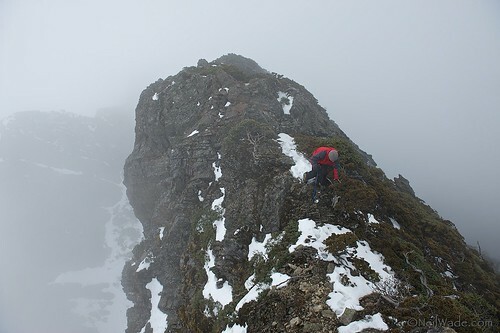 The Holy Ridge is a very difficult and dangerous hike. You will need to navigate two 20 meter vertical cliffs, and at least three others that are very dangerous. In November, it will be VERY cold and there’s the chance for snow, so you’d have to take crampons and all the necessary winter gear. 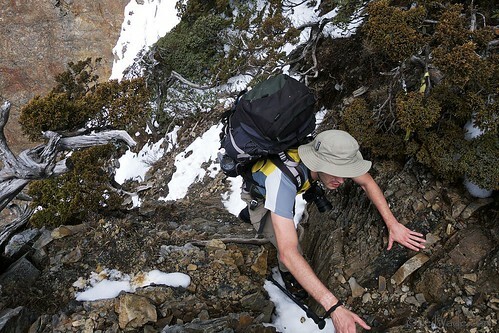 This is a very serious mountaineering expedition, not just a hike. 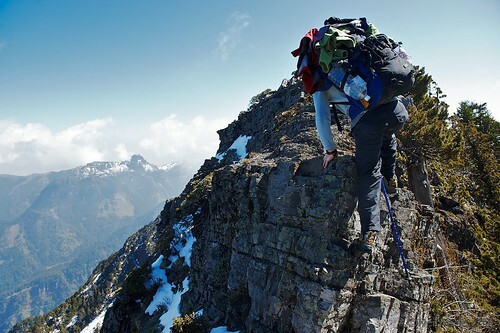 It’s impossible for me to tell you if you can do it or not, but I can tell you that I own a hiking guide company along with three partners, and we’ve decided that we’re never taking customers up there because it’s too dangerous. If you have any more questions, I’d be happy to help. Well this year I won’t be jetlagged whilst attempting to hike–that was part of the problem last year–and I will also be in much better shape. However, I can’t vouch for the fit levels for all members of our group–though as a whole we’re fairly fit. So based on the varying levels of experience, and given that we have 5 days of vacation to kill, what would be a difficult–though not death defying–hike that you’d recommend? If you only have 5 days, I don’t even think you could complete the Holy Ridge. 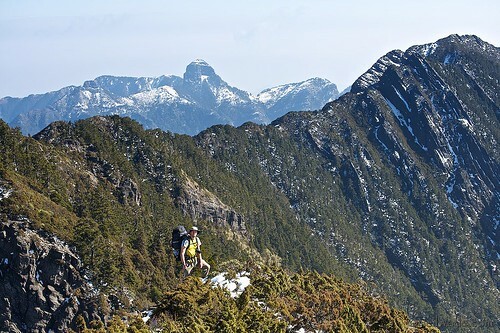 You could however, do part of it: The Sixiu are four mountains (Taoshan, Kelayeshan, Chiyoushan and Pintianshan) make up almost half the Holy Ridge, and are a challenging 3 day hike. 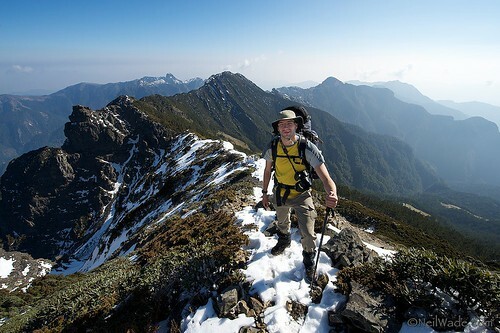 You could also do the “back door” of the Holy Ridge, Dabajianshan, in three days. I’ll pass on the information and we’ll figure out which mountain to conquer. Thank you so much for your help and advice. Thanks for the info Neil! We just had a great hike. A friend and I just finished the holy ridge in 3,5 half day, including Tao and snow mountain. Just after the typhoon one part was really sketchy because a small part of the trail was eroded resulting in a really steep cliff with no clear path at 3200 m. I would recommend a light backpack 15kg max 20 kg because of the steep cliffs. 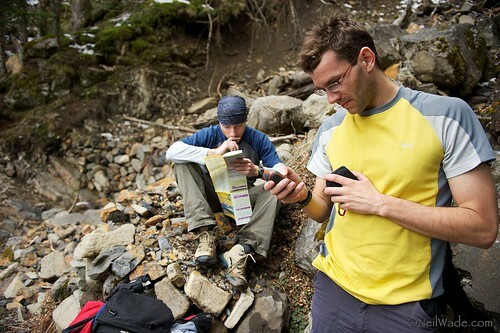 GPS with trail location is recommended in case of a situation as mentioned above. March is still the snow season, and the Holy Ridge is closed. I think it reopens April 1st.